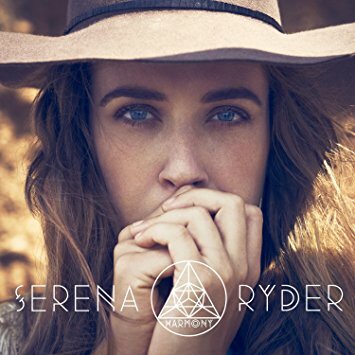 Singer songwriter Serena Ryder has had success in her native Canada. Attempts to break her in the US haven't worked. That's not unusual for Canadian artists who benefit at home because of Canadian content regulations. She was born Dec. 8, 1982 in Toronto. Her father was from Trinidad and a founding member of The Tradewinds. She grew up in Millbrook when her mom remarried. Millbrook is near Peterborough. She started performing as a child and she started writing songs as a teen. She moved to Peterborough to play local clubs. She released a CD in 1999. Serena's big break came when she played a club in Wakefield, Quebec. And the club owner liked her so much that he got her a spot on the CBC Radio show Bandwidth. Hawksley Workman liked her enough to sign her to his Isadora label. She recorded two albums which did OK. She signed with EMI Canada and for the 2008 album Is It O.K., she signed with Atlantic in the US. The album went Gold in Canada and she won a couple of Juno awards. Attempts to break her in the US didn't go as well including a duet with American Idol contestant Jason Castro. For the 2012 CD Harmony, Serena worked with former OneRepublic drummer Jerrod Bettis and Jon Levine of The Philosopher Kings. The singles Stompa and What I Wouldn't Do did very well in Canada. Stompa appeared on Grey's Anatomy. Stompa topped the Adult Alternative chart but it failed to break through to mainstream pop radio. So that's where Serena Ryder is right now. She's very successful in Canada but unable to convert that to success in the US. She moved to Universal Canada for her latest CD Utopia and she is currently touring Canada. But it doesn't look like mainstream success in the US is in the cards. 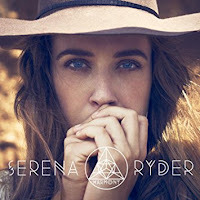 Here's the video for What I Wouldn't Do by Serena Ryder.